The 241st Commencement of the Georgia Institute of Technology was held on December 17, 2011. 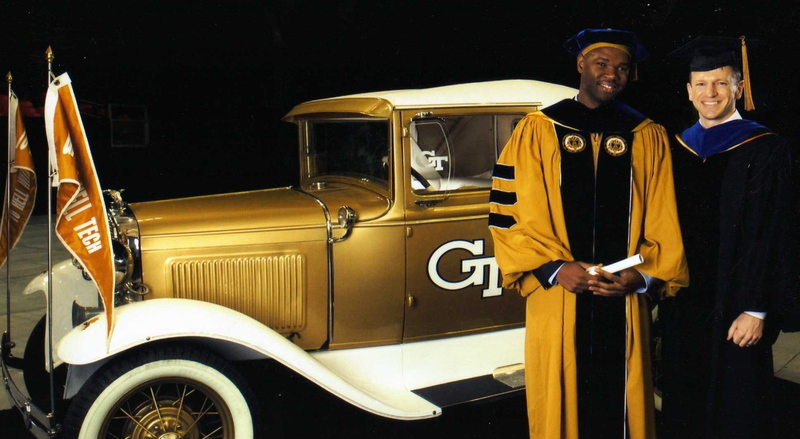 Clarence Rolle returned to receive his doctoral degree and hood. Photos with the Ramblin’ Wreck ensued. Our latest research on rhenium-catalyzed aerobic alcohol oxidations is published on European Journal of Inorganic Chemistry Early View. It builds on our previous studies of dioxygen homolysis by five-coordinate oxorhenium(V) complexes with redox-active ligands by using the resulting dioxorhenim(VII) products for oxidations of benzylic alcohols. 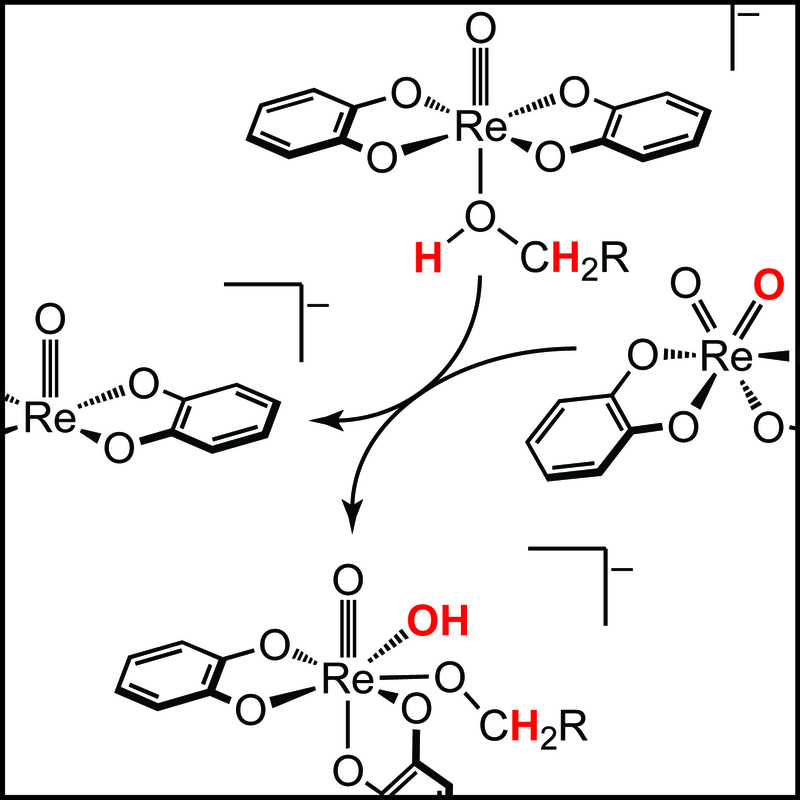 Cameron Lippert and Korbinian Riener collaborated on a study of the rhenium(VII) alcohol oxidation mechanism, which revealed the net PCET process has a surprising catalytic dependence on rhenium(V). Check it out. 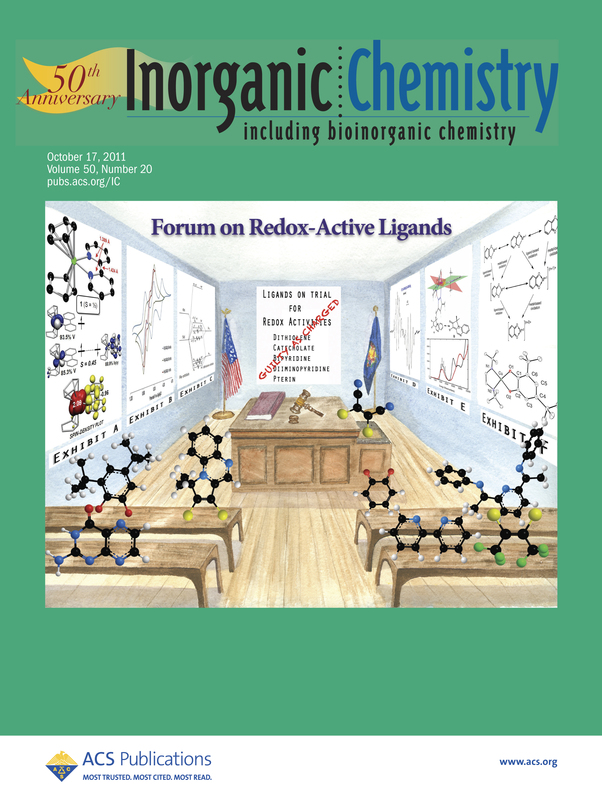 The Inorganic Chemistry Forum on Redox-Active Ligands is now available. This special compilation of papers presents a fantastic summary of the field, ranging from historical perspectives on the discovery of redox-active ligand complexes to recently developed methods for stoichiometric and catalytic transformations of small molecules. The Preface by guest editor Professor Paul Chirik is definitely worth checking out. We are proud to have a paper included in this issue. To get started, here are some Soper Group highlights from the first ten months of 2011. Clarence Rolle and Jake Soper presented their research at the Inorganic Reaction Mechanisms Gordon Research Conference in Galveston, TX. Aubrey Smith’s cobalt cross-coupling catalysis was featured in an Angewandte Chemie International Edition Highlights article called “Ligands that Store and Release Electrons during Catalysis” by Bas de Bruin and co-workers. Clarence Rolle received a 2011 Advancing Science Award from NOBBChE. Funds from this award were used to support Clarence’s participation the 2011 NOBBChE National Meeting in Houston, TX. This was Clarence’s second consecutive Advancing Science Award. We said goodbye to Korbinian Riener as he headed back to the W. A. Herrmann Lab at the Technical University Munich. Many thanks to the Fulbright Program for supporting Korbi’s research in our lab. Godspeed Korbi! We welcomed the newest member of the Soper Group, Penelope Heidi Soper. Penny will get started in lab as soon as we can find some very small nitrile gloves. We welcomed back Naga Mallu Reddy and Ramesh Venukadasula from Westlake (Atlanta) High School for a second summer of research in the Soper Lab. Naga and Mr. V were also part of the Georgia Tech–Westlake HS Energy Challenge Program in the summer of 2010. Cameron Lippert defended his thesis, entitled “Redox-Active Ligand-Mediated Radical Coupling Reaction at High Valent Oxorhenium Complexes: Reactions Relevant to Water Oxidation for Artificial Photosynthesis”. Cam is the first Ph.D. from the Soper Lab. Congrats to Dr. Lippert! Aubrey Smith was awarded a Ph.D. for her thesis “Facilitating Multi-Electron Reactivity at Low-Coordinate Cobalt Complexes Using Redox-Active Ligands.” Well done Dr. Smith! Jake Soper traveled to Denver to present our recent work on metal oxyl radicals in the “Towards Earth Abundant Solar Photocatalysis” symposium at the 242nd National ACS Meeting. Clarence Rolle received a Ph.D. for his thesis “Selective Aerobic Oxidations Catalyzed by Manganese(III) Complexes Using Redox-Active Ligands”. Congratulations Dr. Rolle!